In the customer experience industry, we know better than anyone that the rapid advances in technology will transform the world. In our omnichannel world, bots already have human-like conversations and machines learn at a pace that’s unattainable to a regular person. With each technological breakthrough, industry solutions are introducing new ways for companies to proactively engage customers at any touchpoint, at any time. Some worry that these developments pose a threat to not only data security, but also our jobs. 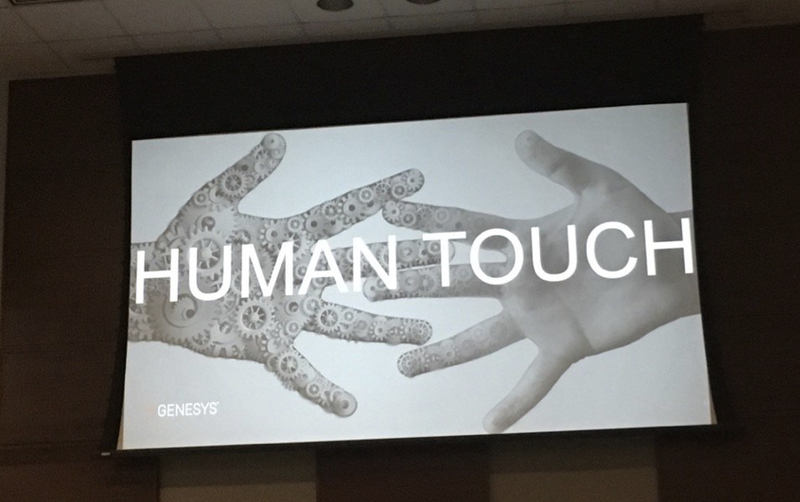 And it’s true, we see that automation is replacing human interactions making business much less personal – but we can still hold onto that individual touch even if it is in the hands of a robot. 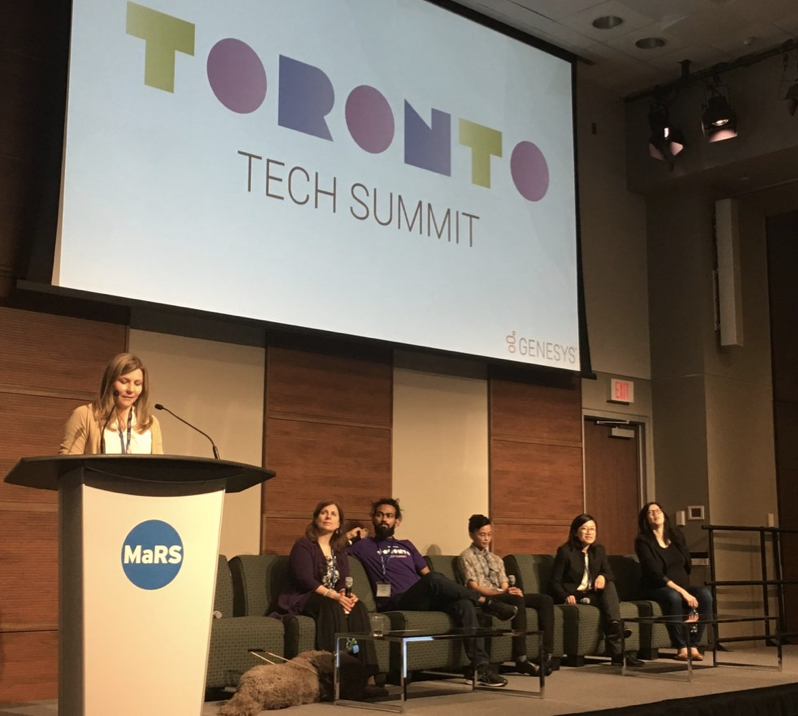 At the Toronto Tech Summit, thought leaders within the customer experience industry gathered to share their insights on how they have embraced these advances to differentiate themselves and exceed the growing expectations for personalized products and services. So, how do the experts think we can humanize technology? As advanced as we are, we’re a long way from robots taking away all our jobs. We must understand that machines are not here to replace, but to empower us. Can we orchestrate seamlessly with automation while still providing meaningful interactions? Matthews introduces Genesys Kate, a blended customer experience artificial intelligence (AI) solution that empowers companies to deliver personalized, proactive and predictive customer and employee experiences. And Kate has more human elements than what’s obvious. 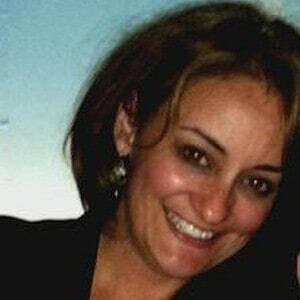 You see, “Kate” means “pure,” and like the Genesys Customer Experience Platform, she enables employees to meet customers where they want to interact—with the right context to guide them along their journeys. This may come as a shock to some, but we are zero days away from always-on voice technologies. Our devices are listening – even when we’re not talking to them. This ability to recognize context in voice allows companies to listen for customer demands that they can address in real-time. But where do we draw the line between convenience and privacy? During a thought-provoking panel led by host Chris Connolly on customer experience, we learned that security is a very important consideration for the future of always-on voice technologies. 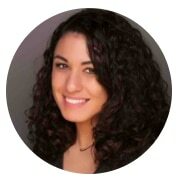 Bianca Lopes, VP at BioConnect, made an excellent point that consumers need to take responsibility for the tokenization of their interactions and potential benefits. There needs to be a ton of education on privacy and an understanding of what data is worth, as well as who to share it with. And this trust can only be built with companies that are clear about how and where they’re using that data. Sachin Mahajan, a consultant from mobileLIVE, shared his wish list for voice-enabled technologies: It should be smart, have memory and emotion and offer advice. A fellow panelist, Leor Grebler CEO of UCIC, continued the conversation and also shared his musings. Adding a personal touch to technology requires that people of different backgrounds innovate, combining their experiences to empathize with a wider audience. Diversity—not only in talent, but also in the capabilities we create—can help companies flag discriminatory features in a product or service and make it more inclusive. During the Diversity in Tech panel, Phouphet Sihavong, Director of UX at Intuit, encouraged technology creators to expand their code. “It is important that we stop looking past people with different challenges and form a world that is more transparent,” said Sihavong. Diversity creates empathy and the ability to understand more users and cater to their needs. 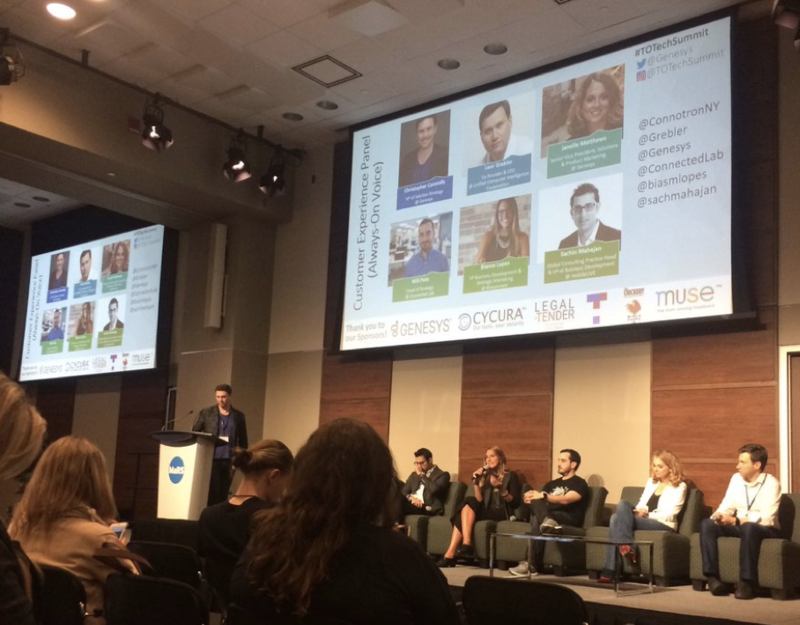 The Toronto Tech Summit taught us that this is only the beginning of the technological advances that will revolutionize the industry. But we don’t foresee a world in which humans no longer play a role in customer experience. As the key to magnificent customer experience lies in the ability to engage with humans and technology seamlessly. Thanks to the hundreds of attendees at the Toronto Tech Summit. We hope you enjoyed the captivating keynotes, panel discussions and lightning talks. Our many giveaways sent some guests home with awesome prizes like a pair of SnapChat Spectacles, a Muse Brain Sensing Headband, Samsung Gear VR and a Microsoft Surface. Cycura, Legal Tender, Chickery, Muse and Genesys generously sponsored the event. Join us back in Toronto in October 2017 for the Genesys Hackathon, and stay tuned for the next Toronto Tech Summit in Spring 2018! Walla Oriqat manages Technology Partnerships and the AppFoundry Marketplace Program at Genesys. Prior to this role, Walla interned for the Market Strategy team researching tech trends like AI and IoT to plan go-to-market strategies that would enhance the CX platform.